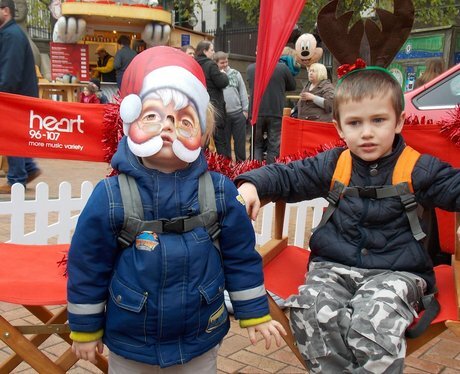 Check out the gorgeous photos from the Birmingham Christmas Market Family Day here! Did you Give it some Heart with the Heart Angels? 1. Birmingham Christmas Markets Family Day! Birmingham Christmas Markets Family Day! 2. Birmingham Christmas Markets Family Day! 3. Birmingham Christmas Markets Family Day! 4. Birmingham Christmas Markets Family Day! 5. Birmingham Christmas Markets Family Day! 6. Birmingham Christmas Markets Family Day! 7. Birmingham Christmas Markets Family Day! 8. Birmingham Christmas Markets Family Day! 9. Birmingham Christmas Markets Family Day! 10. Birmingham Christmas Markets Family Day! 11. Birmingham Christmas Markets Family Day! 12. Birmingham Christmas Markets Family Day! 13. Birmingham Christmas Markets Family Day! 14. Birmingham Christmas Markets Family Day! 15. Birmingham Christmas Markets Family Day! 16. Birmingham Christmas Markets Family Day! 17. Birmingham Christmas Markets Family Day! 18. Birmingham Christmas Markets Family Day! 19. Birmingham Christmas Markets Family Day! 20. Birmingham Christmas Markets Family Day! 21. Birmingham Christmas Markets Family Day! 22. Birmingham Christmas Markets Family Day! 23. Birmingham Christmas Markets Family Day! 24. Birmingham Christmas Markets Family Day! 25. Birmingham Christmas Markets Family Day! 26. Birmingham Christmas Markets Family Day! 27. Birmingham Christmas Markets Family Day! 28. Birmingham Christmas Markets Family Day! 29. Birmingham Christmas Markets Family Day! 30. Birmingham Christmas Markets Family Day! 31. Birmingham Christmas Markets Family Day! 32. Birmingham Christmas Markets Family Day! 33. Birmingham Christmas Markets Family Day! 34. Birmingham Christmas Markets Family Day! 35. Birmingham Christmas Markets Family Day! 36. Birmingham Christmas Markets Family Day! 37. Birmingham Christmas Markets Family Day! 38. Birmingham Christmas Markets Family Day! 39. Birmingham Christmas Markets Family Day! 40. Birmingham Christmas Markets Family Day! 41. Birmingham Christmas Markets Family Day! 42. Birmingham Christmas Markets Family Day! 43. Birmingham Christmas Markets Family Day! 44. Birmingham Christmas Markets Family Day! 45. Birmingham Christmas Markets Family Day! 46. Birmingham Christmas Markets Family Day! 47. Birmingham Christmas Markets Family Day! 48. Birmingham Christmas Markets Family Day! 49. Birmingham Christmas Markets Family Day! 50. Birmingham Christmas Markets Family Day! 51. Birmingham Christmas Markets Family Day! 52. Birmingham Christmas Markets Family Day! 53. Birmingham Christmas Markets Family Day! 54. Birmingham Christmas Markets Family Day! 55. Birmingham Christmas Markets Family Day! 56. Birmingham Christmas Markets Family Day! 57. Birmingham Christmas Markets Family Day! 58. Birmingham Christmas Markets Family Day! 59. Birmingham Christmas Markets Family Day! 60. Birmingham Christmas Markets Family Day!